In the days leading up to and immediately following Gov. 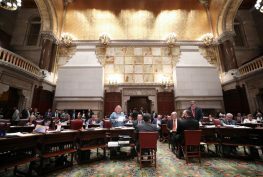 Andrew Cuomo’s inauguration, almost all attention has focused on what Cuomo might do to fix the state’s budget woes and clean up Albany. The governor’s stands on other issues have received far less scrutiny, and that includes his position on the status of the state’s largest affordable housing program — rent regulation. 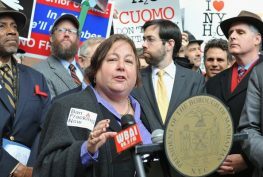 2011 will be a big year for New York’s tenants, especially for those living in rent- stabilized apartments. 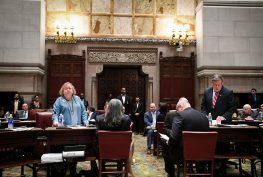 On June 15, the state laws governing rent regulations — which primarily affect New York City — will expire unless the legislature and governor successfully broker a deal to renew them. 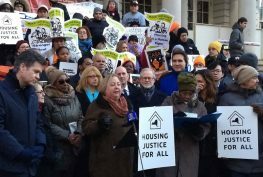 Along with limits on some rents, these regulations give tenants the right to renew their leases and protect them against eviction without legal cause, and ensure services. Cuomo takes office at a particularly turbulent and risky time for housing in the state as New York suffers the fallout from years of predatory lending and the collapse of the housing market. Although Cuomo once served as U.S. housing secretary and has run a housing nonprofit, he has given little indication of what he might do about this crucial issue. The stakes, though, are undeniably high.